Hi friends...Happy Friday to All!!! Being an addict to eggless choc cakes, I too liked this cake. 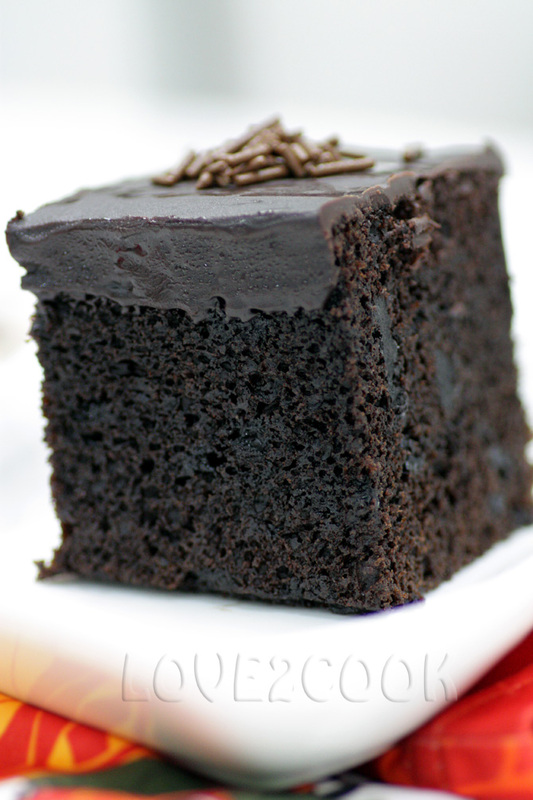 Truly chocolatey, delicious and spoon licking good! A good friend of mine, Kak Roz from HomeKreations had also baked this cake and given her verdict. Stir warm milk and coffee together. Add in butter and vanilla essence, whisk well. In another bowl, mix the flour, baking powder, soda bicarbonate, salt and cocoa powder. Combine well. Fold in the wet mixture and dry ingredients. Mix in the choc chips. Pour in a greased cake tin and bake for 35 minutes. Heat heavy cream until it boils. Turn off flame. Add chopped cooking chocolate n stir quickly. Finally add butter and mix well. Leave it to cool at room temperature before use. 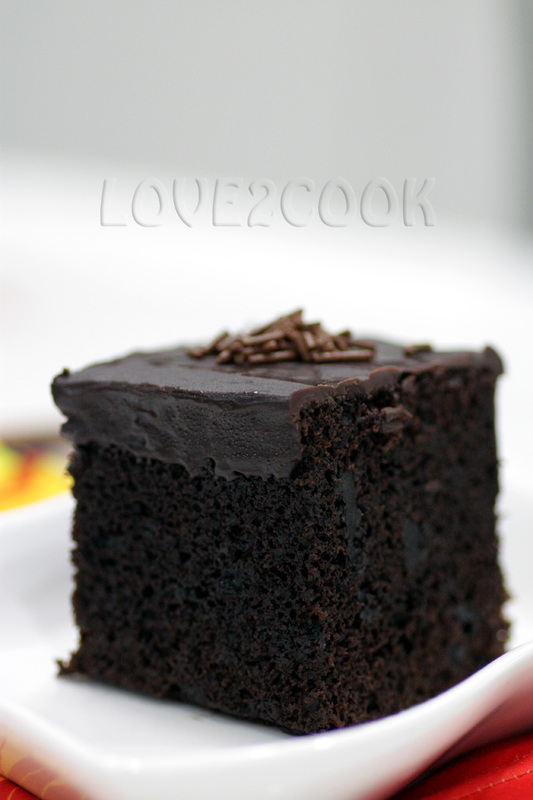 Before you go, check out other Eggless Chocolate Cakes I've baked HERE, HERE and HERE! spettacolari queste torte così cioccolatose! Looks awesome .Pass it on to me . Tempting pictures. Easy recipe, gonna try soon. Love the dark chocolaty color! looks gorgeous and hope it would have tasted great too. 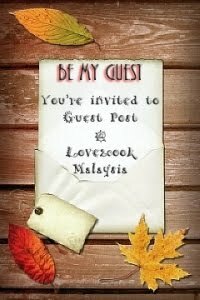 Yummy & delicious......can post to Marang! I am so going to try this delicious cake...Thanks Love..
Hi Love dear, so tempting! Save 3 slices for me k! Happy weekend! 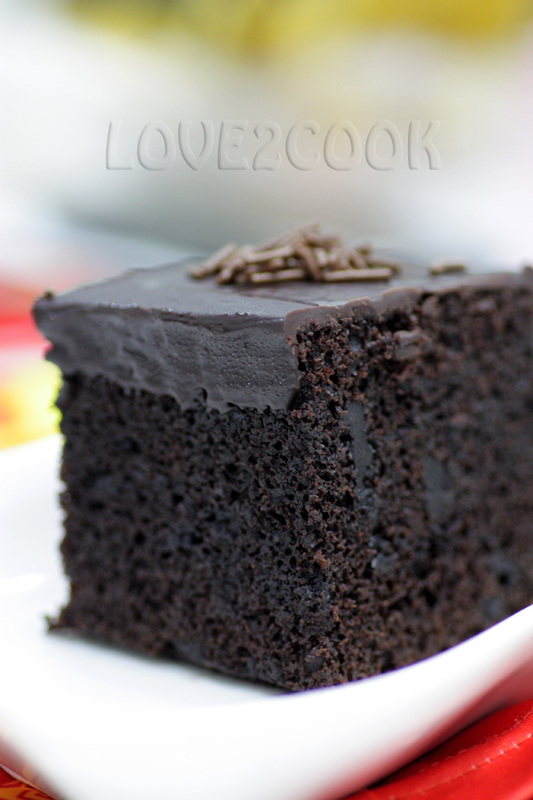 never tried eggless choc cake..maybe one of these day, i shud try one.. I am stunned. How do you have the patience/control to make such lovely icing and then ice the cake. It would have long gone before it came to the table in my case. loveeee...sedapnya kek tu..looks delicious..really..tak tipu....sedapnyaa..cantik gamabr tu..guna camera apa ya..gambar besar2..suka akak tengok..
OMG...Soooo tempting and mouthwatering...Looks perfect dear. I am a suckert for chocolate. This cake looks awesome! Wow cake looks realy soft and yummy. Can't take my eyes from the eggless cake slices. Terrific shots !! So yummy la sis.I never tried or baked eggless cake before but I definitely wanna try this one.Love your gambar,memang cantik. THAT looks like a perfectly baked cake.... i am drooling here in the middle of the night. i am feeling hungry.wonderful clicks too. looks delicious! i like your blog! its great to see the photos! OMG this looks awesome,a real treat..love it. Wow Love.... so gorgeous...! Your touch makes a different to everything! looks super delicious! What a deep dark color! Absolutely Fantastic...Really u rocking...gr8 going dear! AWESOME is all I can say...So rich and delicious..Knowing it is eggless makes me all the more happy!! it looks so delicious!! even u baked without the eggs..nak sepotong!! 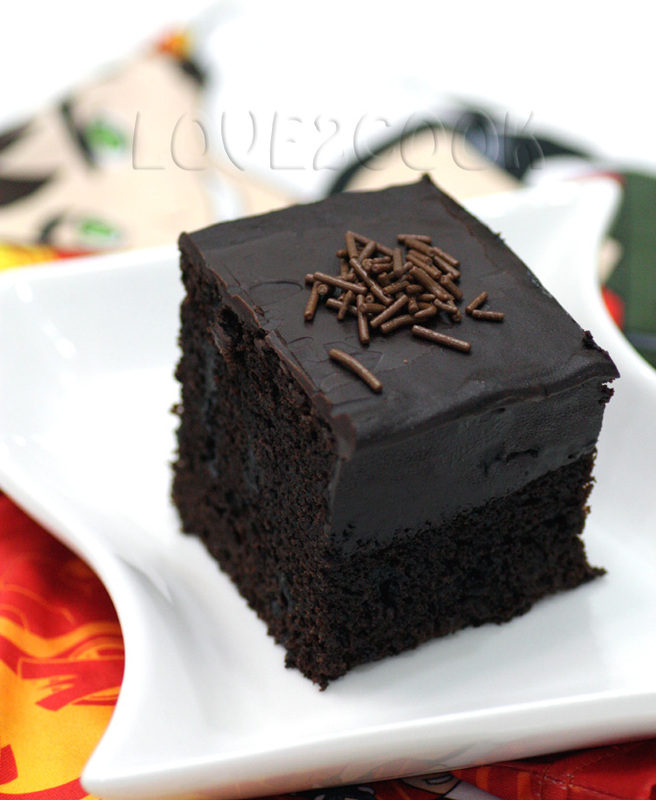 am in love with the intense rich choco color..too good! 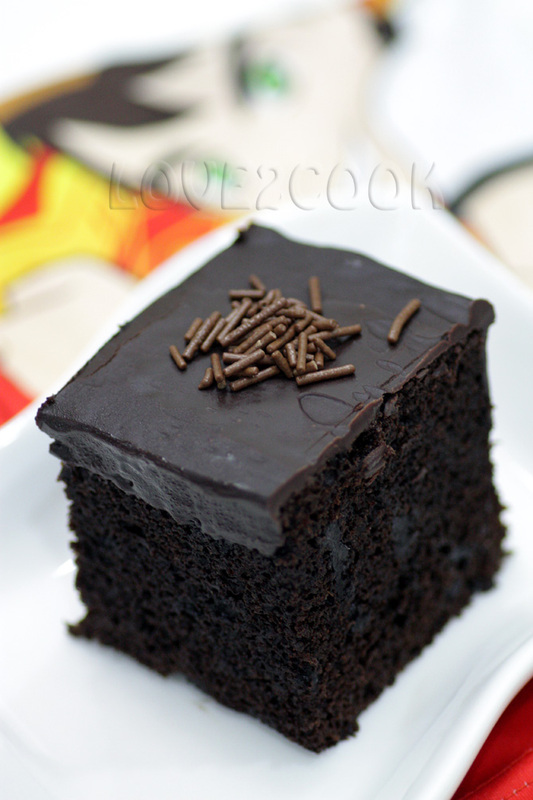 ohhh ooohhh... drooling here.. tqs love for sharing the recipe..
Hi, it's me again! Must be your choc cake that is bringing me over again! I have extended an award to you. Please do drop by to collect when you can. Thank you! I love that rich dark color from cocoa. It's deep, intense and so beautiful. The cake itself looks so moist and good that I doubt I can resist my temptations for it. And it's so well shot that I wish to pluck them off my monitor screen! Belum pernah cuba eggless cake...nampak kek love ni terus nak rasa! I am CRAZYYY over chocolate too!! Can I please have a slice? That cake looks absolutely delicious!! See I missed this post..the cake and the texture looks absolutely terrific.. pls pass me a slice , i am seriously craving. may i know need to bake for how many degree celsius? Hello Simonne, I always use Lindt 85% dark chocolate bar and sometimes Tudor Gold 55% dark chocolate too. Can I know which brand of Cocoa powder you are using? I used Van Houten brand but it is so light , hope you will reply me , thanks . Hi Goody, I use Van Houten Pure Soluble Cocoa too. I used to have another brand of cocoa powder which was much darker but I completely can't remember the name nor can find it anywhere. Milk amount 60ml or 180ml ? ?